The compact apochromat with 72 mm aperture is an ultimative travel apo and can still be carried well by photo tripods or compact mount. The dublet apo lens provides an outstanding colour correction and very high sharpness and contrast for observing and also for photography. ♦ 72 mm f/5.5 FPL53 lens free of chromatic aberration - glass from Ohara, Japan. ♦ Retractable dew cap - the apo fits into any hand luggage - transportation length only 320 mm! 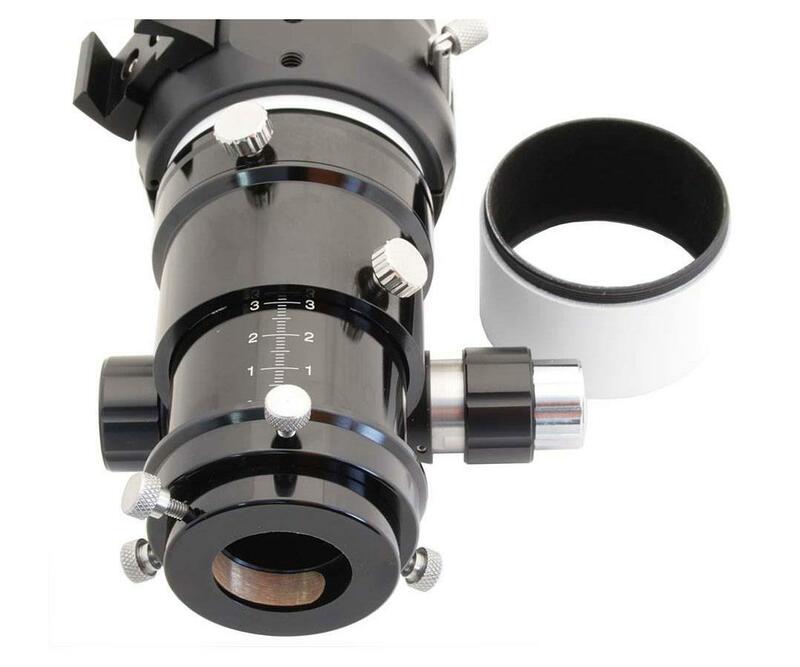 ♦ 2" R&P focuser with 1:10 reduction and 360 rotation - with adaption to 1.25" and, of course, compression ring. 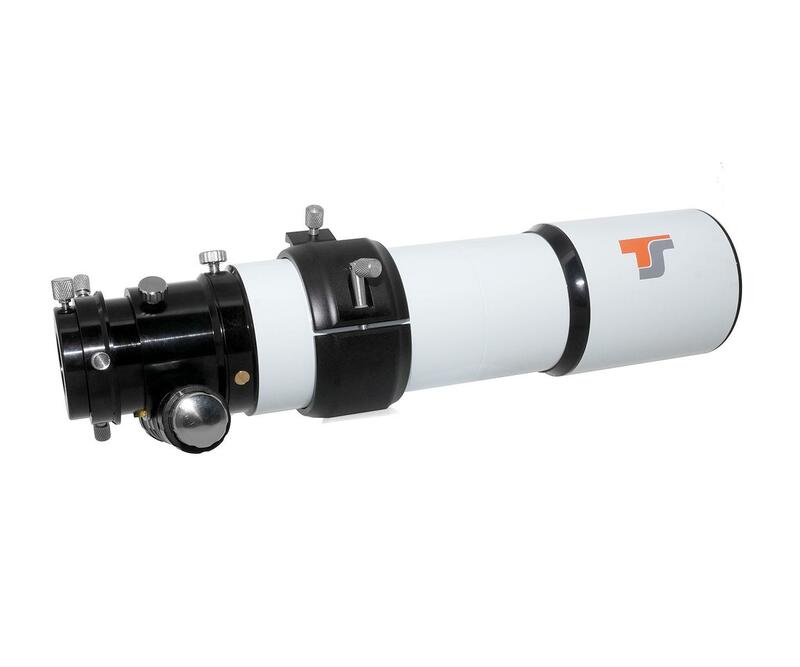 ♦ Detachable CNC tube - the back part can be screwed off for increasing back focus, so you can get gigantic 165 mm instead of 105 mm, allowing to use binoviewers without glass path corrector. ♦ 2" star diagonal, corectors for astrophotography, binoviewers can be used without problems. 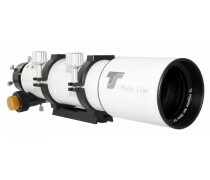 ♦ Exceptional mechanics - the compacte Photoline Apo has all the advantages known from big professional APO telescopes. The travel apochromat offers all features, from the state-of-the-art focuser to different focus positions. ♦ The tube ring supplies a flat support surface with 3x 1/4" photo thread (female). We offer matching dovetail bars for astronomical mounts, too. 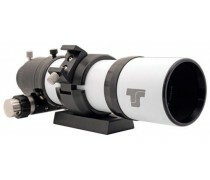 ♦ Wide-field observing - with appropriate 2" eyepieces, a true field of view up to 6° can be achieved. ♦ Astrophotography of extended objects - with the Photoline 0.79 reducer and corrector, cameras with sensors up to APS-C can be used very well. 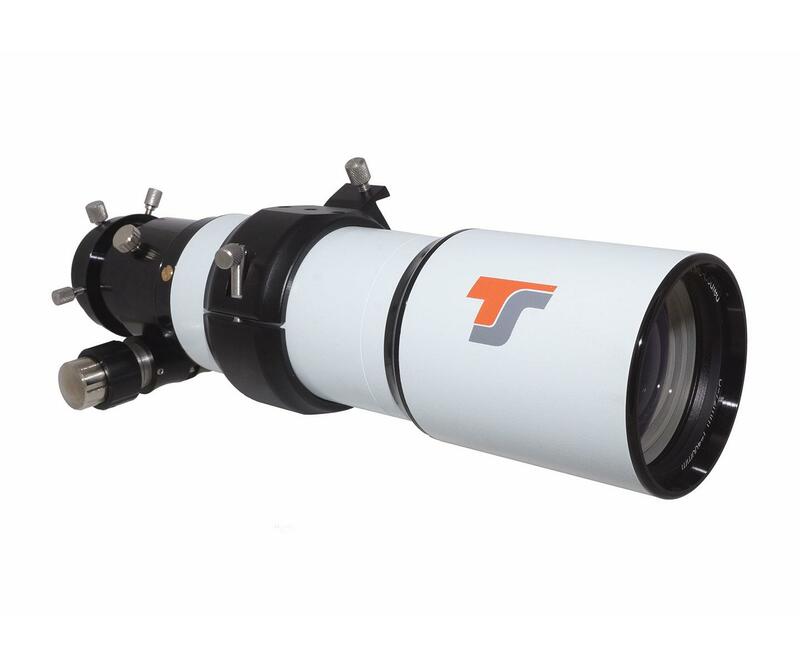 ♦ Powerful spotting scope with low chromatic error for ornithology, nature observing, astronomy. 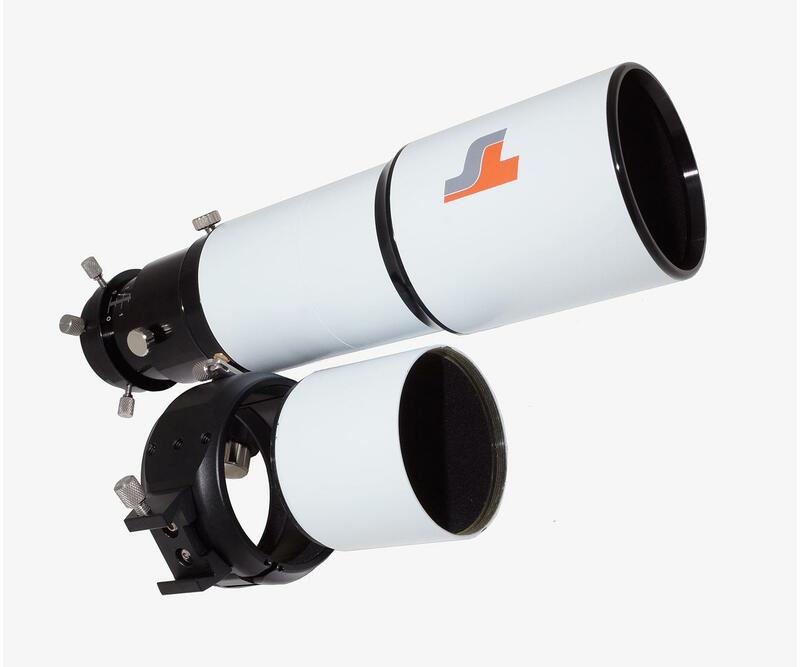 ♦ Super finder and guiding scope for astrophotography. Despite the high speed, the lens images almost free of false color. Even at 200x magnification, no chromatic error will affect the pleasure of viewing. The air-spaced doublet objective is fully multi-coated for a bright and contrasty image. 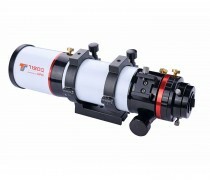 The 2" CNC focuser is optimized for photography and supports a load of up to 4 kg. The 2" receptacle can be screwed off. 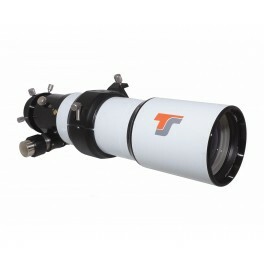 By using the M54 connection thread (M54x0.75 male), the TS photo corrector can be directly screwed in place, so the whole camera adaption is bolted together. Drive and bearing of the focuser are separated. The drawtube is moved by a rack & pinion system. With this, slipping is impossible even at high load. The position of the drawtube can be fixed by a locking screw at the bottom side, thereby long exposure times are possible without shifting the sharpness. The Photoline 72 mm apo offers all possibilities for astrophotography, landscape and animal photography. 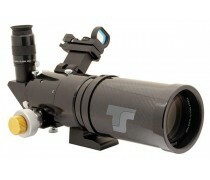 It can replace a very expensive telephoto lens. 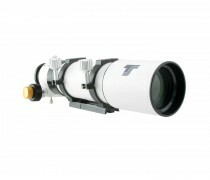 The corrector reduces the focal length of the apo to 316 mm and increases speed to f/4.38! At the same time, the sharpness in the field is increased significantly. Impressive astro images and nature images are possible. Cameras sensor imaging areas up to 30 mm diameter are full illuminated and well corrected. 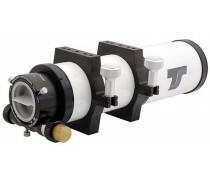 Suggested working distance from the T2 thread of the reducer is 65 mm. ♦ Reduction from 2" to 1.25"